Jane joined The Information as an Engineer in 2017. 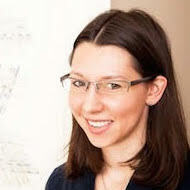 Prior to The Information, she worked at Eventbrite as a Software Engineer. Jane attended Washington University in St. Louis, where she received a Bachelor of Fine Arts in printmaking. A Bay Area native, Jane loves spending time making art in her studio, as well as cooking and baking in the kitchen.